EVERY year we trust EVERY member of the United States Congress to wisely spend 96 MILLION of these. The Dunning–Kruger Effect refers to two related phenomena. People with relatively lower ability tend to mistakenly assume they have relatively higher ability. People with high ability tend to underestimate their relative competence and erroneously presume that tasks that are easy for them to perform also are easy for other people to perform. We all know lots and lots of folks who demonstrate both. What’s scary as hell is what the Dunning-Kruger Effect means when applied to the Congress of the United States. Bear with me through a few numbers, a bit of math and a couple of examples. “We the people” entrust each of these two guys with managing $8 billion dollars, plus another $1.6 billion of off-budget cash? Per year? Over $20 billion dollars per term for each Representative? Almost $58 billion for a Senator? The median American earns, and is therefore responsible for managing about $40,000 per year. Ergo, the average senator or congressman is supposedly 2 million times more financially astute than the average American citizen! What if you are talented enough to make $1 million a year? That means “We the people” agree that folks like Hank and Todd are both 9,600 times more capable than you. How about some evil Wall Street shark making $10 million a year? Hank and Todd are 960 times more capable? It’s absurd. Todd Akin’s reported net worth is, according to mandated filings, in the neighborhood of $500,000. So, based on actual reality, he is personally able to accumulate and manage $1/2 million over his entire 70 year lifetime. Miraculously though, he gets elected and instantly becomes 19,000 times better at managing finances. Aghhhhhhhhhhh!!!!!!!! Are we all insane? Back to the Dunning-Kruger Effect. How many members of the U.S. Congress EVER mention the fact that they’re in control of spending almost $10 Billion (…that’s Billion with a “B!”) every single year? $10 Billion. That’s more financial responsibility than literally 100s of Fortune 500 CEOs. How many members of Congress do YOU think have the wherewithal to run a Fortune 500 corporation? Compare that to the number of them who feel eminently capable. Re-read point #1 above. But “We the people” are evidently perfectly OK with this situation. We vote for whomever our party of choice throws up on us. (The pun is absolutely intended!) We blithely assume the U.S. Congress – as is – is perfectly capable. Re-read point #2 above. Look, I’m no genius, but I know what an island is. Islands can’t capsize. I was awake through at least some of my high school Biology class. A woman’s egg cells can’t think and make decisions. 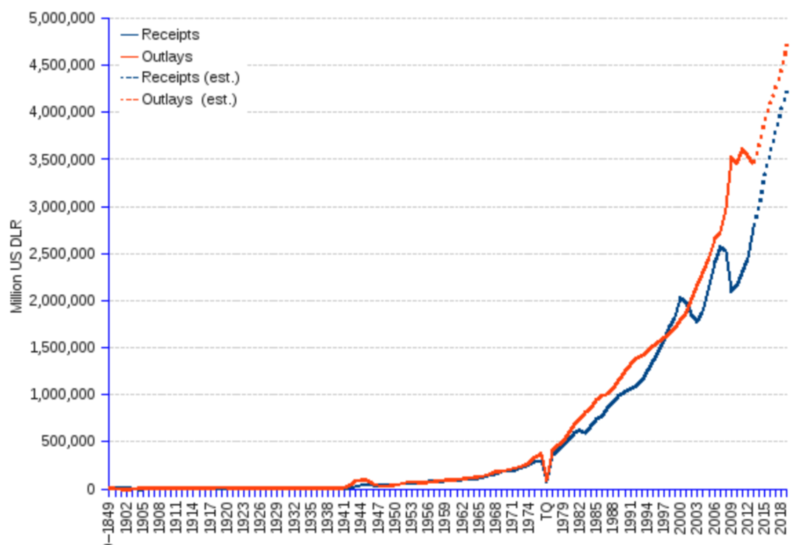 IMHO, the U.S. Federal Government has grown way, WAY too big. That opinion has nothing to do with my political philosophy. It has everything to do with the fact that no group of 535 humans has anything even remotely close to the wherewithal to financially manage a country that has grown so massive and so incredibly complex. It also point to what we must do. “We the people” simply must force our state governments, our governors, to save us from increasingly massive and pervasive central planning in Washington, DC. And here’s a little extra tidbit in case you’re not spooked enough already… Take a look at the incredible growth in the money (i.e., power) that our friends in Washington are grabbing. Is it possible they’re power hungry??? Truly a thought provoker. More representatives do make sense, but more chickens running around with their pet projects is scary too.